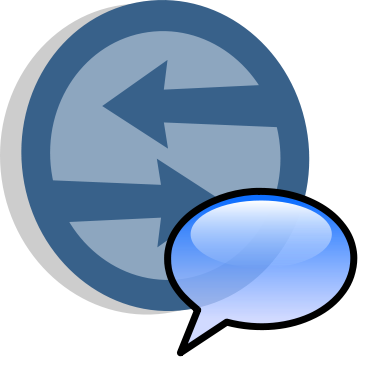 Asynchronous discussions are a powerful tool in the online/supplemental/hybrid course instructor’s toolkit. In previous posts we’ve covered best practices and why these discussions are important. In this post we will take a look at how the discussion tool works and where it lives in the context of the Blackboard LMS. If you are teaching your course across topics, units, or chunks of content, you might find it beneficial to place links to specific Discussion forums in the area of your course where you are dealing with that specific topic, chapter etc. 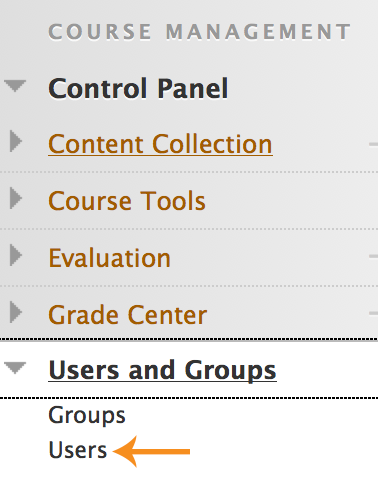 You do this by using the action bar inside the content area and click the Tools button then choose Discussion Board. From there you link to a already created forum in your Discussion area or create one specifically for this spot in your course. *Note: Copy your forum instructions into the Tool link description so that the students can read them in advance of entering the forum. Also typing the words “Click to Launch” in your link Title will remind the students what to do to access the discussion. Another great way to give students ready access to course discussions is to place a Discussion Board link directly in your course’s Navigation Menu. You do this while by using the “+” Add button on the top of your navigation menu and choosing Tool Link and then selecting the Discussion Board from the drop-down and giving it a name. The only thing to remember is that this link provides a student access to all discussion forums and not just one. The least used scenario in that many instructors choose not to make their Tools area available is the Discussion Board link in your Tools menu (a link in the Course Navigation menu). This adds a few clicks for the students in terms of gaining access and it provides a link to all forums instead of just one. It is key to remember that when you have different paths to your discussion forums that just hiding a link in your content DOES NOT make that forum unavailable to your students in some cases. The best way to be sure that students don’t have access to a forum is to change the availability of said forum. You can do this in the Discussion Board area from your Course Tools section of your Control Panel or via the Discussions link your your navigation menu if you have one. We hope this helps shine a light on what can be a powerful weapon in your arsenal of student-engagement tools for your online course. 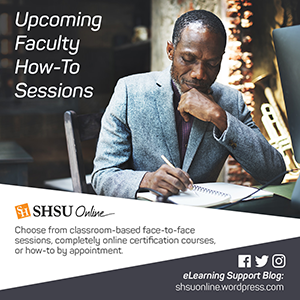 As always contact your college’s instructional designer, blackboard@shsu.edu, Jacob Spradlin or comment on this blog post if you have any questions! Have you been pulling your hair out trying to keep track of, respond to, or even just be aware of a small group discussion assignment across 10 or more groups? Maybe you are not even utilizing the discussion feature because you think that your 50+ student course couldn’t really gain anything from the interaction due to volume. Here is a great Best Practice that can help ensure that your students are communicating with each other and that all student in your course can benefit from the discussions that take place in groups they are not in. 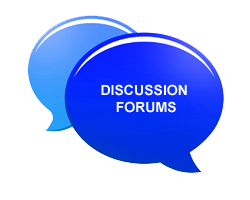 Create a Weekly “Leads” discussion forum. Well it doesn’t have to be weekly, but you should have it as often as you have small group discussion assignments. In this way, you not only ensure that you are having interaction on a small group level, you also give every other student in the course the benefit of what other groups think about the discussion topic. Group A might see that they didn’t take into account something that Group C brought up and so on. You will be amazed at how the students will begin to interact in the forum and how the discussion can continue beyond the original prompt.